Celebrate the Christmas season with German TV lesbians | Rosalie & Co. 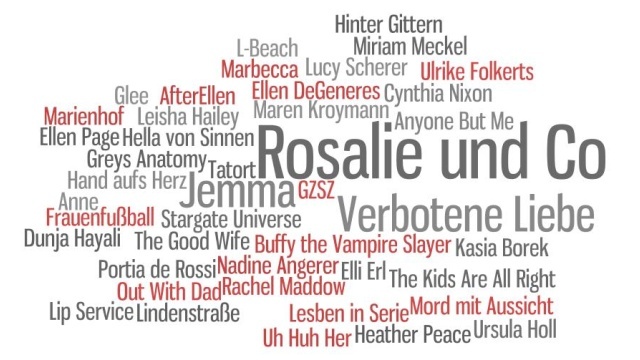 If you are a fan of German TV lesbians, it looked like December would be a tough month for you. On Verbotene Liebe, Rebecca and Marlene are still separated and it seems very unlikely that they will ever get back together, and on GZSZ, Anni and Jasmin just went on vacation together, meaning they won’t be seen on the show until January. Luckily, the ladies over at the German website cootv have got you covered. They put together an Advent calendar filled with videos of lesbian characters and love stories from German TV shows and movies – some you might know, some you might not. One lesbian couple that a lot of fans are still very fond of, even though the show it was on was cancelled more than three years ago, is Jemma – Jenny & Emma from the German telenovela Hand aufs Herz. If you are one of those fans, make sure to check out the Advent calendar dedicated to them and the show that was put together by the team of fan website JemmaInternational. Enjoy the Christmas season. Happy Holidays everyone!